A Darien teenager has been charged in connection with a fire in Woodland Park Nature Preserve that sparked a response from three fire departments. A neighbor reported seeing a male of middle-school age setting the blaze Wednesday afternoon, and another witness identified a teen male seen running from the 64-acre park at the time the fire was reported. Police said evidence was found in the teen's home. 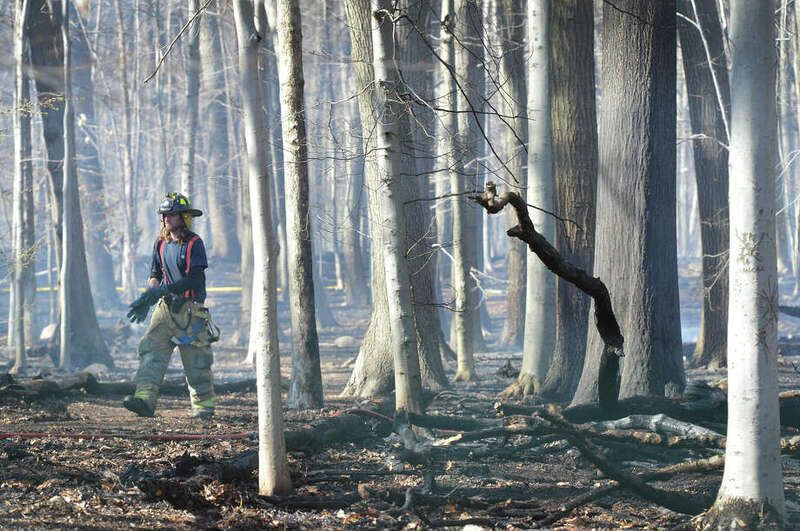 It took roughly 60 firefighters from Noroton Heights, Darien and Noroton fire departments about two hours to extinguish the blaze, which spread to five acres of the park. There were no injuries. The teen, who is not being named because he is a juvenile, was charged with first-degree criminal mischief. He is due in court next month.